Apple iPad 2 Wi-Fi + 3G was launched in March 2011. The tablet comes with a 9.70-inch display with a resolution of 768x1024 pixels at a pixel density of 132 pixels per inch (ppi). Apple iPad 2 Wi-Fi + 3G is powered by a 1GHz processor. It comes with 512MB of RAM. The Apple iPad 2 Wi-Fi + 3G runs iOS 4 and is powered by a 6,930mAh non-removable battery. As far as the cameras are concerned, the Apple iPad 2 Wi-Fi + 3G on the rear packs 0.7-megapixel camera. It sports a 0.3-megapixel camera on the front for selfies. Apple iPad 2 Wi-Fi + 3G based on iOS 4 and packs 16GB of inbuilt storage. The Apple iPad 2 Wi-Fi + 3G is a single SIM (GSM) that accepts a Micro-SIM card. Connectivity options on the Apple iPad 2 Wi-Fi + 3G include Wi-Fi, GPS, and 3G. Sensors on the tablet include accelerometer, gyroscope, and compass/ magnetometer. 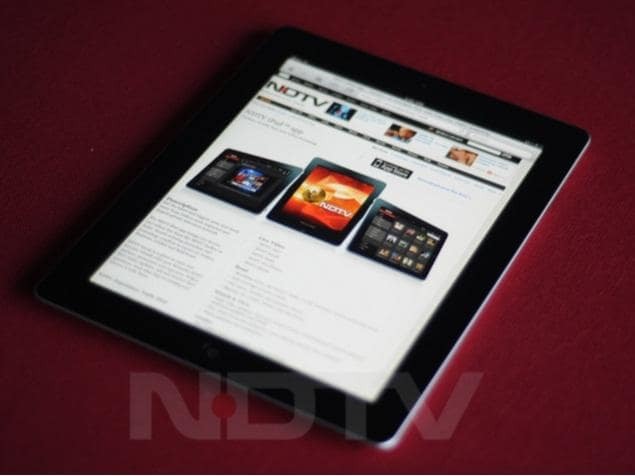 The Apple iPad 2 Wi-Fi + 3G measures 241.20 x 185.70 x 8.80mm (height x width x thickness) and weighs 607.00 grams. As of 21st April 2019, Apple iPad 2 Wi-Fi + 3G price in India starts at Rs. 20,999. The Apple iPad 2 really lives up to its name. Along with a 1GHz processor and a display of 9.70 inches, It offers what the previous iPad couldn't, i.e., about 10 hours of battery life and faster speed (because of the dual-core processor). I found it really useful. I rate the Apple Ipad2 poorly because at first it appears to be perfect and flawless but eventually problems start to show up! Like it does'nt recognize the SIM card anymore or safari doesn't open web page so we have to turn the wifi off and on again and the worst part is that these problems are unfixable. For the price we pay for the iPad it's a bad tablet.